The LaborFest Writers' Group evolved out of the 2005 LaborFest writing workshop with Roxanne Dunbar-Ortiz. Members have included: Richard Chen, Margaret Cooley, Keith David Cooley , Adele Kearney, Susan Ford, Phyllis Holliday, Jerry Path, Alice Rogoff and Nellie Wong . A new book which includes works of fiction, nonfiction and poetry by writers Phyllis Holliday, Margaret Cooley, Keith Cooley, Adele Kearney, Nellie Wong, Jerry Path, and Alice Rogoff. Read stories about the lives and struggles of laborers, farmers, cooks, cowboys, and coalminers from China, Ireland, Britain, rural Wisconsin, and the Old West. The anthology is hot off the press. Join us for an afternoon of readings from our new anthology accompanied by live music. 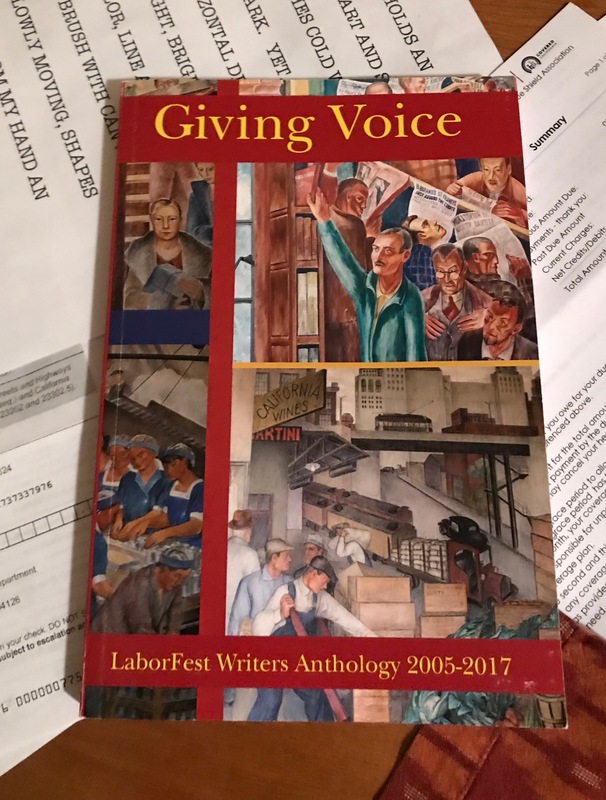 LaborFest Writers Reading September 9th (Sunday) 2:00 PM (Free) Bird & Beckett Bookstore, 653 Chenery Street, Glen Park, SF .